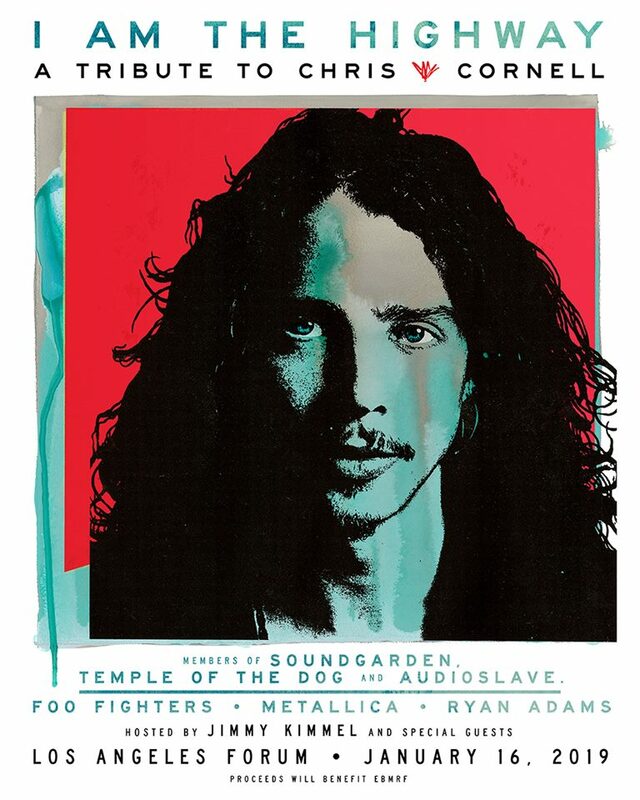 A Soundgarden reunion topped the all-star "I Am The Highway: A Tribute To Chris Cornell" concert at The Forum in Los Angeles on January 16, and video from the show is streaming online. As Rolling Stone reports, Soundgarden were joined a number of rockers during an 8-song set of hits and deep cuts for diehards, including Taylor Momsen, Marcus Durant, Tom Morello, Pearl Jam's Stone Gossard and Buzz Osbourne of The Melvins before the night’s finale of “Black Hole Sun” with vocalist Brandi Carlile and Peter Frampton. Appearing before Soundgarden’s closing set, Cornell’s Temple Of The Dog did likewise, with a number of guests including Miley Cyrus, who Rolling Stone calls “the night’s true showstopper” for bringing the crowd to its feet when she belted out “Say Hello 2 Heaven”, pushing her voice to its max and headbanging. Among the other acts, Metallica’s four-song set featured a pair of Soundgarden tunes: “All Your Lies” and "Head Injury"; Cornell’s Audioslave were joined by Black Sabbath bassist Geezer Butler and Metallica’s Robert Trujillo during their show; the Foo Fighters performed Soundgarden’s "No Attention" alongside covers of tracks by Devo and Cheech And Chong; while Adam Levine, Josh Homme, Chris Stapleton and Rita Wilson delivered individual song performances. Cornell’s family made appearances throughout the evening: event organizer Vicky Cornell paid tribute to her late husband; daughter, Toni, was joined by Ziggy Marley for a cover of Bob Marley’s 1980 classic, “Redemption Song”; and son Christopher introduced Soundgarden as the night’s headliners.